Home / News / Issue 8 of ENN's Nutrition Exchange is out now! Issue 8 of ENN’s Nutrition Exchange is out now! 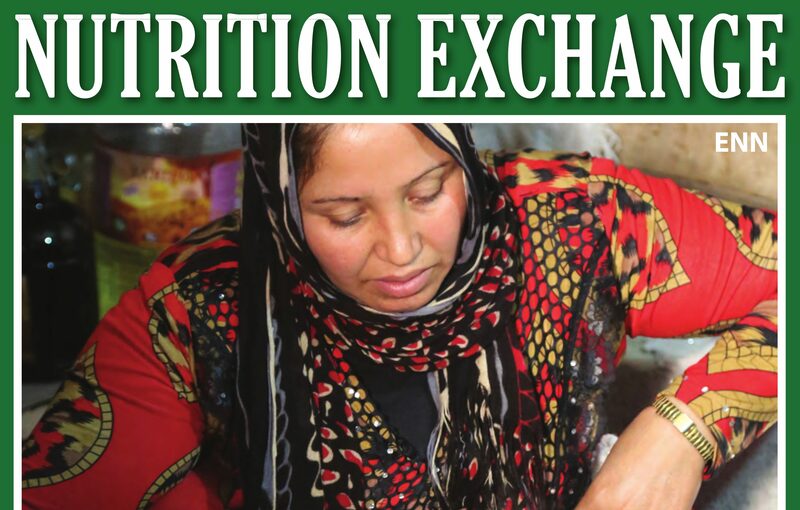 Launched in July 2017, ENN’s Nutrition Exchange Issue 8 features articles on community kitchens and school feeding programmes in Lebanon; Ecuador’s policies to tackle overweight and obesity; efforts in Pakistan to ‘fill the nutrient gap’; initiatives to make agriculture ‘nutrition-sensitive’ in Ethiopia and Zambia; and many other ‘good reads’. Nutrition Exchange is published twice a year and brings together experiences and learning from SUN Countries as well as other content. It has been made possible by funding from the Department for International Development (DFID). ENN is a United Kingdom registered charity which was set up to improve practice and strengthen the institutional memory of agencies involved in emergency food and nutrition sectors. Field Exchange is an online and print publication on nutrition and food security in emergencies and high burden contexts. Nutrition Exchange is an online publication of short, easy to read articles on nutrition programme experiences and learning. En-net is a free and open resource that helps practitioners access technical advice for operational challenges through the online forum. To use, simply go to www.en-net.org.uk to view discussions, or create an account and sign up to one or more forum areas.